Get fit, learn to protect yourself, and strengthen your spirit with Seido Karate! 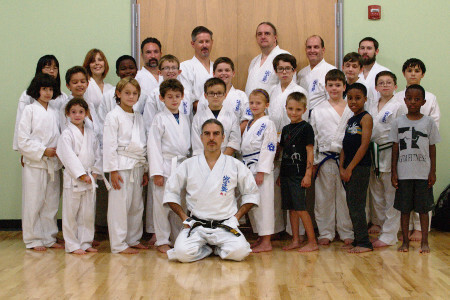 Catonsville Seido Karate provides traditional Japanese karate training for self-development, self-defense, and physical fitness for adults of all ages, teens, and children. Just 15 minutes from downtown Baltimore, near UMBC and CCBC Catonsville. We're proud to partner with the Catonsville branch of the Central Maryland Y; the World Seido Karate Organization and The Y share social responsibility, healthy living, and youth development goals. Taught by Kyoshi Tom Swiss, a fifth-degree black belt with over thirty years experience. Our adult/teen class welcomes students 13+ -- older adults welcome, it is never too late to start. Whether you're in your teens or your 60s you are welcome to join us and explore the benefits of Seido Karate training. We love absolute beginners! No prior martial arts, sports, or athletic experience is necessary. Register now by calling the Y at 410-747-9622; more information here. Classes open to new, beginner students are highlighted. Our 7:30 class is for teens and adults, ages 13+. It is not too late to start training! Seido Karate was founded by Kaicho (Chairman) Tadashi Nakamura. Kaicho Nakamura came to New York City in 1966 to bring the Kyokushin Karate style of Master Masutatsu Oyama to the United States, but eventually began to find differences in philosophy with his longtime mentor. In 1976 Kaicho Nakamura respectfully withdrew from the Kyokushin-kai and began to build Seido Juku, "the school of the Sincere Way". Kyoshi Tom Swiss began his Seido Karate training in 1985. He holds the rank of godan (fifth degree black belt) in that art. 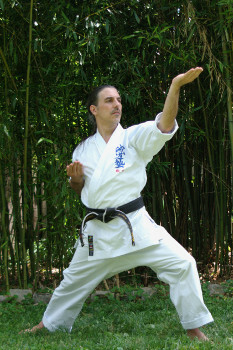 After receiving black belt ranking in October 1995, he spent several years as an assistant instructor at the Howard County Seido program before starting the Catonsville Seido Karate program in January of 2002. While his primary interests in karate training are personal development and self-defense, he has also competed in tournaments ranging from regional to international. In 2007 he had the rare opportunity to visit Japan for three months and to teach karate there. In 2012 and 2017 he was part of Seido Karate demonstrations at Shinto temples in Japan. 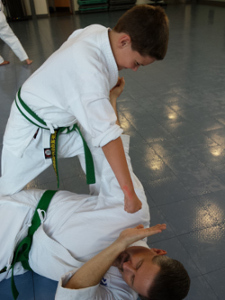 The Catonsville Seido Karate program is open to men and women of all ages, and to children 7 and up. Classes are held at the Catonsville YMCA, which is just 15 minutes from downtown Baltimore, near UMBC and CCBC Catonsville and easily accessible from I-95 or the Baltimore Beltway. 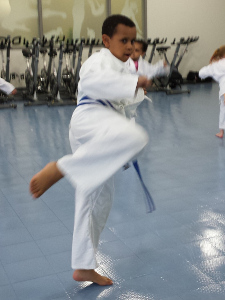 If you're looking for martial arts training for yourself or for your children, e-mail catonsville@seidomd.com or visit us at the Y on Tuesday or Thursday evening and find out what Seido Karate can do for you! See the page here for fee information and registration details. 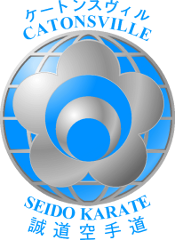 More information about Seido Karate.